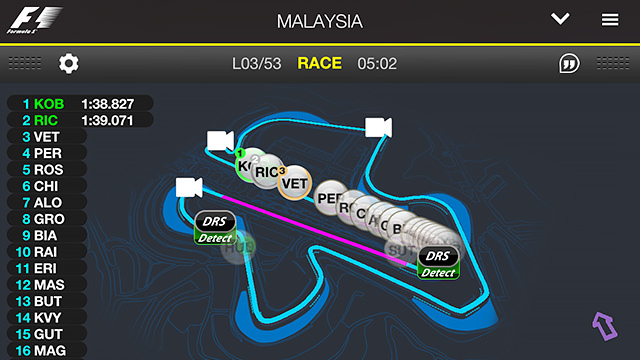 Arriving three months or more later than expected and cutting it seriously close to the start of the Formula 1 season, the 2014 official F1 App is finally available to download today. The good news is the basic version comes for free, while the premium upgrade costs less than half that of previous years. The bad news is that although refreshed with a modern looking skin, the almost entirely unfathomable user interface remains largely untouched. The universal app runs on iPhone, iPad and iPod Touch, requires iOS 6.0 or later and is optimised for iPhone 5. At launch, the season pass will cost users £7.49 (GBP) or $11.49 (USD). Team radio, audio commentary and in-corner analysis are all new features for this season. Delayed radio messages have been available via host broadcasters in previous seasons, but this is the first time they've been presented to individuals. It also isn't clear who will be providing commentary (a logical guess might be the BBC Radio 5 live stream), and if international options could yet be provided in future. The remainder of the features will be familiar to anyone who's used previous incarnations of the timing app, although I was surprised to discover live DRS feedback was actually present in the 2013 version. Apparently I never spotted it. A new company has been created for the rebranding and release of the Official F1 App. Softpauer defined the original concept, but Formula One Digital Media Limited oversaw this year's effort. It is not clear if the same team worked on product development, but it certainly feels that way. Usability is best described as being "kooky". The old interface never followed traditional mobile paradigms, and even after several seasons of use I still struggle to fathom the location of half the features. Scrolling remains as erratic as ever (perhaps more so), while icons appear to have been chosen entirely at random and somehow feel smaller and harder to tap. Thankfully time-shift controls have been significantly improved, making it less tricky to synchronise the race start with live video content. Track diagrams also become a little more readable, thanks to a reduction in superfluous background topography. 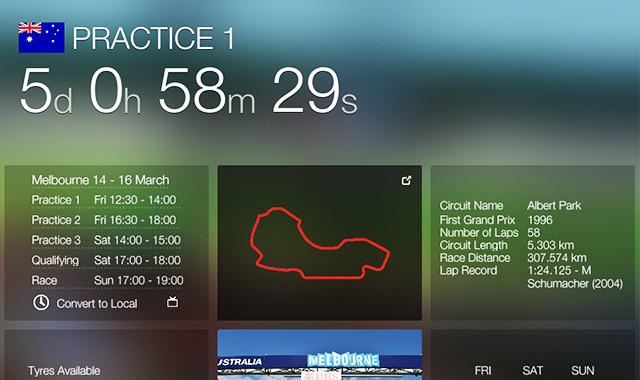 Clearly no-one buys an F1 timing app for a great mobile experience. So long as timing and positioning is fundamentally reliable this is a worthwhile purchase for any F1 viewer. The sport is arguably so difficult to follow these days, this would be an essential purchase whatever the cost, whatever the provided functionality. The fact that it is both feature-packed and a relative bargain makes the process that much easier. Buy it now.